At Matthew Bruhin & Associates, we are well aware of the chronic “chronic” problem that is facing many parents in San Diego. A large percentage of kids now smoke marijuana daily. But this isn’t just a “stoner” kid problem, many adults have fallen victim to marijuana addiction. People used to say marijuana wasn’t addictive. Well, they were wrong. Marijuana addiction causes major mood swings, loss of interest in activities, hormonal dysregulation, sleep disturbances, and a host of other undesirable side effects. We treat marijuana addiction. Our San Diego marijuana treatment and counseling targets social and peer causes of addiction, as well as underlying causes of “self-medicating” such as anxiety or depression. Far too often, people started smoking to deal with feeling bad or feeling bored and found themselves smoking daily, even though they don’t get “that high” anymore. Marijuana addiction is a commonly used drug by today’s youth and has made it way in to mainstream culture. Now, many people use cannabis. Marijuana use has skyrocketed in part due to the misconception that it is “good medicine.” Countless times in our office we have heard people claim that marijuana is not only good for you, but that it actually resolves almost every illness known to man! Now, in all fairness marijuana does have some components in it that can produce “some” medically beneficial results such as anti-inflammatory or anti-nausea. The problem is that by labeling am addictive, cancer causing substance medically viable, a misconception about use has grown. 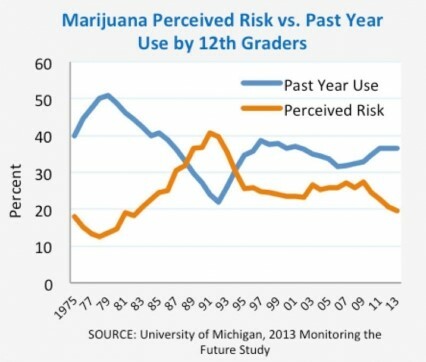 Many young people now believe marijuana is a safe harmless drug. The truth is, marijuana is a harmful, carcinogen that causes addiction if used regularly. Contrary to common belief, marijuana is very addictive. Estimates from research suggest that about 9 percent of users become addicted to marijuana; this number increases among those who start young (to about 17 percent, or 1 in 6) and among people who use marijuana daily (to 25-50 percent). Regular users of marijuana trying to quit, report withdrawal symptoms including irritability, sleeplessness, decreased appetite, anxiety, and drug craving, all of which can make it difficult to abstain. Marijuana also raises heart rate by 20-100 percent shortly after smoking; this effect can last up to 3 hours. In one study, it was estimated that marijuana users have a 4.8-fold increase in the risk of heart attack in the first hour after smoking the drug. This risk may be greater in older individuals or in those with cardiac vulnerabilities. At Matthew Bruhin & Associates our mission is simple, if you are smoking too much, we want to help you cut down. If you are addicted and experiencing some of side effects of regular use, we will help you get off. Our goal is to educate, empower, and motivate people to understand how marijuana can lead to long term mental and physical health consequences. If you, your child, or someone you know is addicted to marijuana, or doing more than recreational smoking, please contact our office and allow us to clear up that haze.